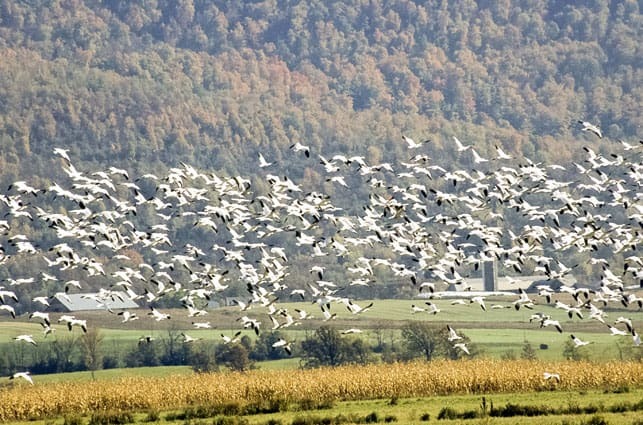 Vermont is one of eight eastern states opening a spring snowgoose hunt this year to help control damage by the birds to agricultural crops and marsh vegetation from Quebec to North Carolina. “The breeding population of greater snow geese has grown from approximately 50,000 birds in the mid-1960s to 900,000 birds today,” said David Sausville, Vermont’s waterfowl project biologist. Vermont’s spring snow goose hunt began March 11 and will continue through April 24.